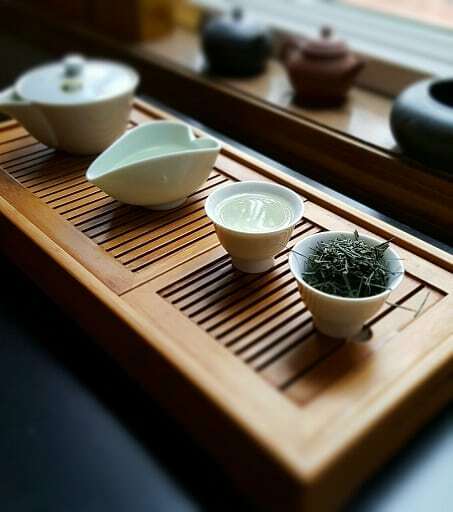 A couple of years ago—on a visit to the Jasmine Pearl Tea Merchants shop— I tried a Japanese tea (that wasn’t sencha) that just . . . blew me away. It was a black tea blended with yuzu rind. Yes, the Japanese orange. When I described it to people, all I could muster was, “It’s like an Earl Grey that followed the Bushido code.” The astringency was balanced, there was a malty kick, and of course there was that effervescent blast of citrus at the top note. Never tried anything like it. The Jasmine Pearl folks told me that it came from one particular farmer in Kawanehon-town in Shizuoka prefecture. 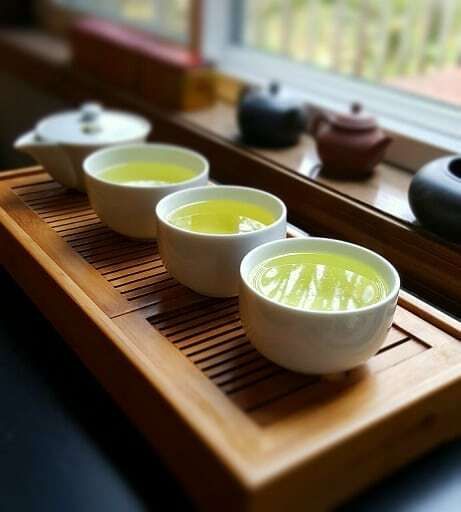 The area was known for their sencha quality, and—to a lesser extent—their black teas. When the Jasmine Pearls’ owners had traveled to Japan, they established a relationship with this farmer; one Nobuyuki Konishi. Or “Konishi-san”, as they chose to call him. On that same day, I also tried several senchas that the farmer had wholesaled to them. I even wrote a poem about them. Short version: They all kicked some serious cuppa keester. The only thing I regretted, though, was that the couple o’ times the farmer had visited the Jasmine Pearl, I never got to see him, meet him, and nerd out over tea with him. And I never thought such an opportunity would present itself again. Then I received an e-mail. No, make that two e-mails. One from JP’s sales guru, Jodie, and one from co-owner Chuck. Konishi-san was coming back to Portland. At first, I didn’t think I could leave work early enough to encounter him, but—one fateful day in mid-October—I was able to convince my boss to let me out of the “factory” early. I informed the JP powers-that-be that I was coming in. They reciprocated with a message of “awesome”, and (I fantasized) . . . donned their proverbial helmets in preparation for my impending arrival. When I first came in, Konishi-san and I introduced ourselves, and from there, it was like we’d always known each other. Even with an only-slight language barrier, we understood each other perfectly. He immediately began pouring his wares. I’d never heard of “farmer style”-ing tea before, but apparently, some Japanese tea farmers liked their tea with a bit of a punch to it. And when he brewed it strong, he darn well meant it. 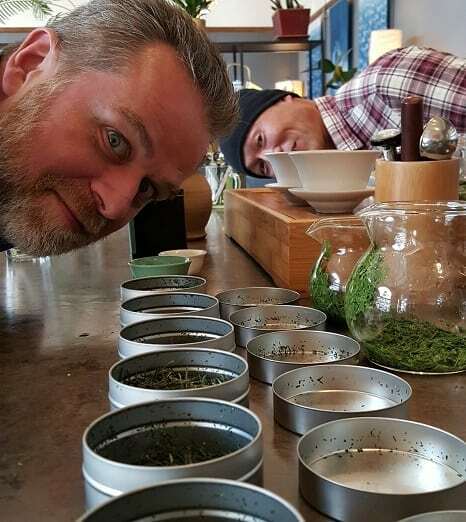 We went through a LOT of sencha. 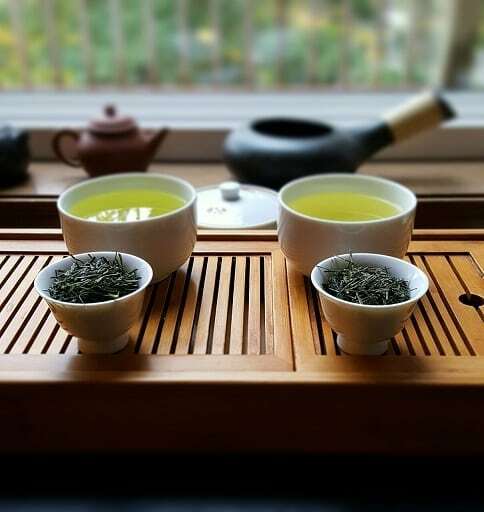 Two different kabusechas, two different Sakuramidori senchas, something he called an “oolong” (of sorts), and the coup de grace, some “old tree” Zairai sencha. I was blown away by the array of flavors my mouth (and brain) were bombarded with. I couldn’t make linear sense of it all. Jasmine Pearl co-owner Chuck also came out to partake. His reaction was similar to mine. I looked at my phone, I realized I’d killed nearly two hours tasting sencha. 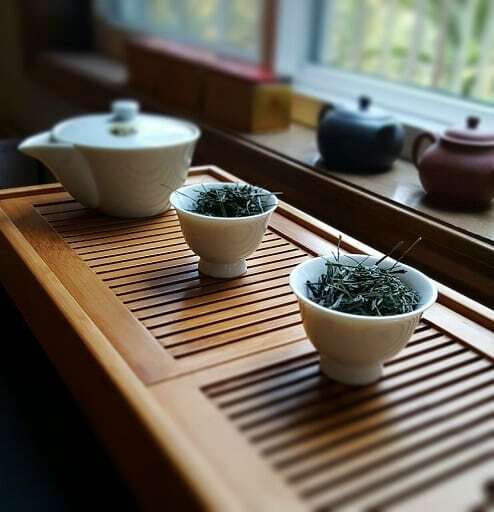 Before parting ways, I decided to pick up both the old tree Zairai and “oolong” for a more in-depth examination later. That and I told him I’d keep in touch so I could garner more information on the teas. A week or so later, I got to brewing both of these lovelies. The “ancient” Zairai wasn’t ancient in the Chinese gushu sense of the word. 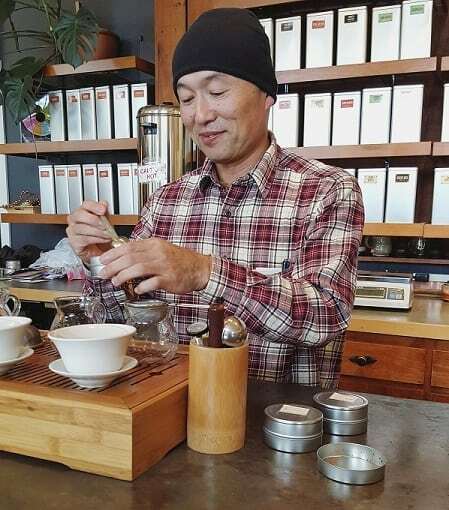 The trees on his farm were from clones—like most Japanese cultivars—but these clones were from Konishi-san’s grandfather, when he originally purveyed the family tea farm. Meaning, they contained genetic material from a far older version of the Zairai cultivar, than what exists today. Since then, Konishi has cloned and replicated based upon that original template. 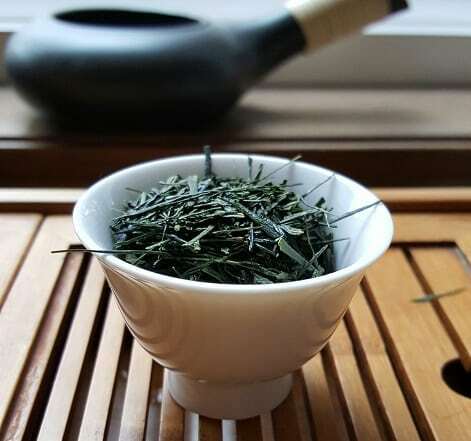 The sencha he processed from those leaves was an asamushi (“lightly-steamed”) style. 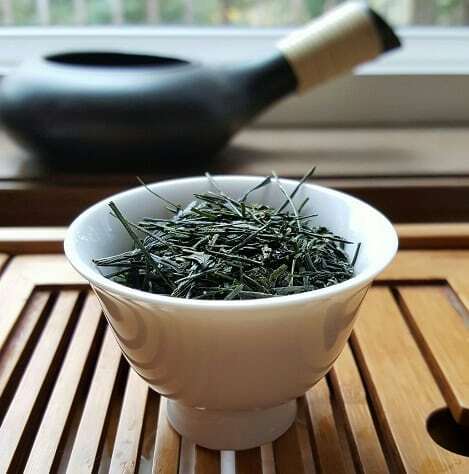 They were the typical sencha cut, only longer than most. They were bold green, needle-thin, and flat. However, what was surprising was the size of each “leaf needle”. Usually, with senchas I’ve run into, the leaf cut is much smaller, but in this case, longer spears. The aroma they gave off was almost pure umami, grass and buttered nuts. A very burly green tea aroma, but a tantalizing one. For brewing, I started off by adjusting the variable temperature dial on my electric tea kettle to the lowest setting. By the strong umami smell, I surmised that this would be a delicate tea. Once it reached the right heat, I put a heaping teaspoon of leaves in the Takeo pot, poured water over ‘em, and let ‘em simmer for a little under a minute. The first infusion at 160F turned up . . . water. Seriously, there was barely any color to the infusion. It even tasted like tea-tickled water. Not much to report. Sighing, I dumped the leaves, and gave it a second go. This time, I upped the temperature to around 175-180F, and put the steep time at a little over a minute. The results were far more impressionable. 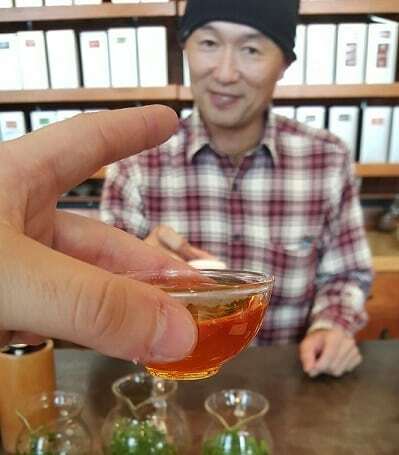 The liquor was still light green, but there was an actual aroma to the cup—that of leaves and a slight floral bouquet. On taste it was all strawberry leaves, fruit vapors and a smidge of umami on the back-end. Drinking the dregs of the teapot showed me what would’ve happened had I dared another ten seconds. Short answer: I chose the right balance for the second attempt. 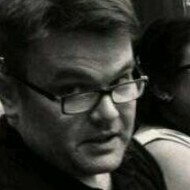 This sucker . . . was something else entirely. 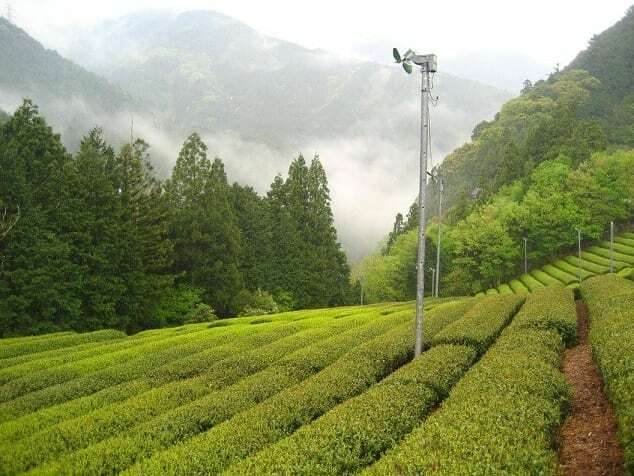 The cultivar—dubbed Hanayaka Kosyun (or Koshun)—was developed in a Shizuoka prefecture tea research center. It was a cross between the Kurasawa and Kanayamidori tea cultivar. To date, I don’t think it’s been officially registered. 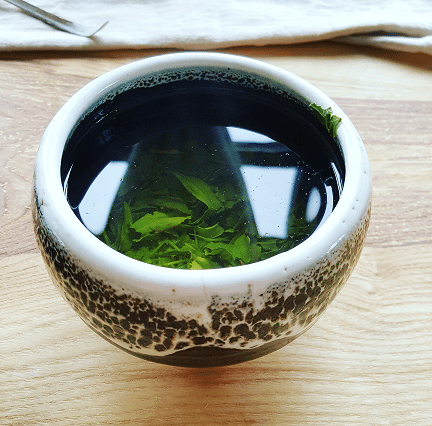 Instead of making a typical sencha with this hybrid, Konishi-san went a different route. Sure, he still steamed the leaves like a sencha . . . but only after he let it oxidize for a spell. Yes, like an oolong. However, unlike oolong, it was steamed for the kill-green; not pan-fried. There have been rumblings in my usual tea circles about “oxidized sencha”, and I think I just ran into one. The leaf cut for this was similar to the Zairai—long, bold green needles, etc.—but that was where the similarity ended. The leaves were a shade lighter than the Zairai, but it was an easy distinction to miss. No, the most telling difference was in the aroma. It was both gentler and louder than the Zairai, but in a completely surprising way. On first whiff . . . it smelled like a Baozhong. Yes, the Taiwanese oolong. All butter-cream and flowers. When I first dipped into it on my own, I was actually visiting my matcha dealer—Mizuba Tea’s Lauren Purvis—at her new office space. We both decided to share a heaping of these leaves in a matcha bowl. At first, we figured we brewed it too weak, and so—for giggles—we tried it with boiled water, and it was . . . perrrrrfeeeeect. Yep, we brewed it farmer style. This tea needed to be brewed farmer style. Okay . . . it needed boiled water. So, boiled water is what it got. However, when I tried it again, instead of just doing it “farmer style”, I went one step above. 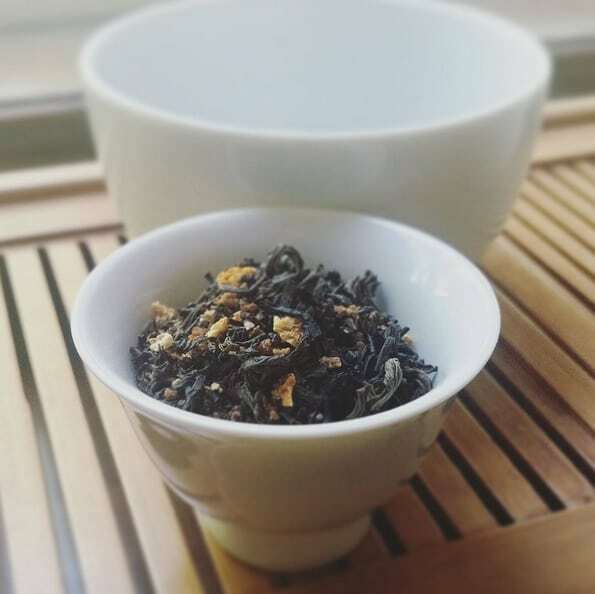 Since it was “technically” an oolong, I decided to treat it like an oolong. 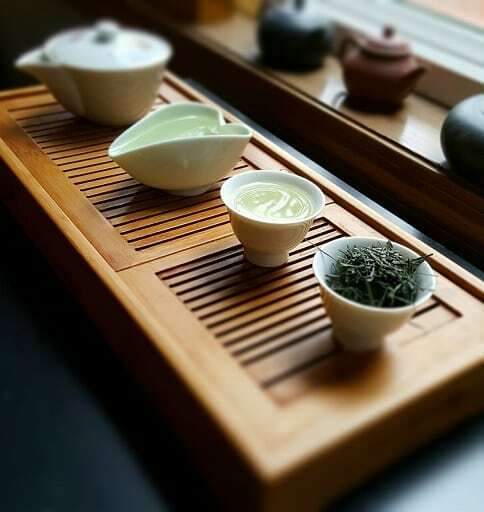 Gongfu, baby! Three steeps at thirty-to-forty seconds each. The three infusions brewed to a beautiful, light green liquor. No one infusion was darker than the others, and there was no sign of that usual “radioactive green” sencha color, either. 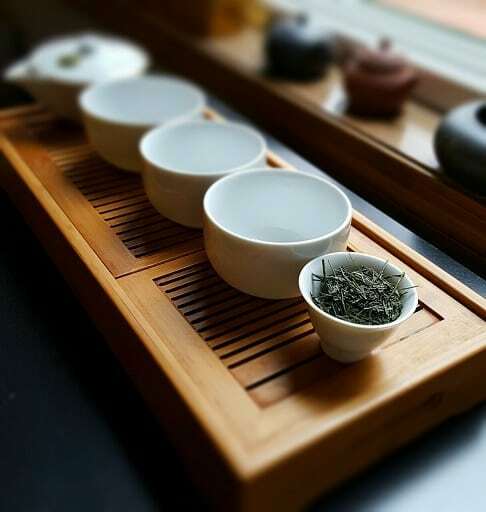 By the steam smell of each of the cups, I could tell that none of them went vegetal after the proverbial “cooking” they received at the hands of the boiled water. Nope, they were both excellent on two different ends of the spectrum. Picking a favorite would’ve been like comparing a literal apple and an orange. They were awesome in their own respective categories. That’s what it was all about. Hugs and high-fives. Hell, after the last couple weeks (nay, months! ), that’s what life was all about. Brewing it strong, brewing it hard. Farmer style tea for all. Hugs and high-fives for all. Try ‘em all. Trust me. Are all of them “Earl Grey that followed the Bushido code”?